Our restaurant is open Monday to Saturday Midday to 11pm and on Sunday Midday to 10pm. You can complete this form to request a reservation, if your request is within 24 hours though please can you call us on 020 8462 9898. Bookings on a Friday & Saturday that are made between 6 and 6.30pm, the table will be available for a maximum of 2 hours. Whilst we will always try to accommodate every request, we cannot guarantee any bookings via this form. 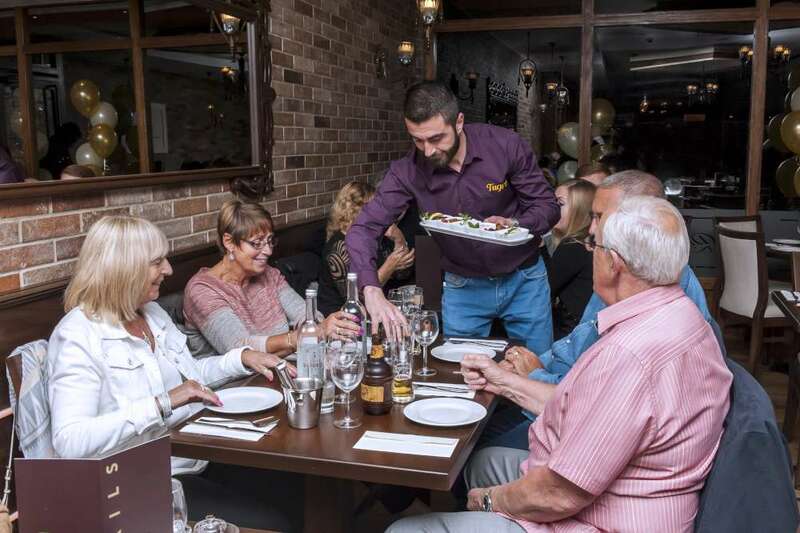 We require a small deposit for groups of 10 and above – this is not for our benefit, this is to ensure that other guests are not disappointed if they are trying to book a table.
. A small deposit will secure any available date.